Jesus answered, “Neither… he was born blind so that the acts of God may be revealed through what happens to him”. 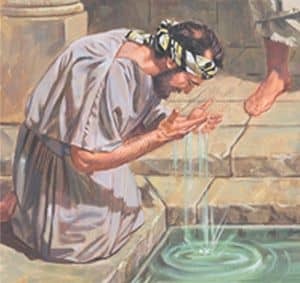 Jesus then spat on the ground and made a mud paste which he smeared on the man’s eyes and told him to, “Go wash in the pool of Siloam”. After the man washed, he was able to see. Many Jewish leaders also refused to believe the man. They suggested he was born blind but when they summoned his parents, they confirmed that he was their son and he had been blind from birth. 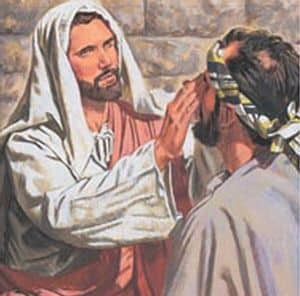 The Jewish leaders then asked the parents how he was now able to see. They replied that they didn’t know but, “He is a mature adult, ask him”. The Jewish leaders summoned the man to them a second time and said, “Promise before God, to tell the truth. We know that this man [Jesus] is a sinner.” The man replied “I do not know whether he is a sinner. I do know one thing – that although I was blind, now I can see”. The leaders continued to question him and then “heaped insults” on him but the man’s story remained unchanged. The Jewish leaders also accused the man of being Jesus’ disciple saying, “We are disciples of Moses… We do not know where this man comes from!” The man replied, “This is a remarkable thing, that you don’t know where he comes from, and yet he caused me to see… Never before has anyone heard of someone causing a man born blind to see. If this man were not from God, he could do nothing”. The Jewish leaders were so incensed at the man’s response that “they threw him out”. When Jesus heard that the Jewish leaders had thrown the man out, he found him and asked, “Do you believe in the Son of Man?” The man replied, “And who is he, sir, that I may believe in him?” Jesus said, “You have seen him; he is the one speaking with you”. The man said, “Lord, I believe,” and he worshipped him. 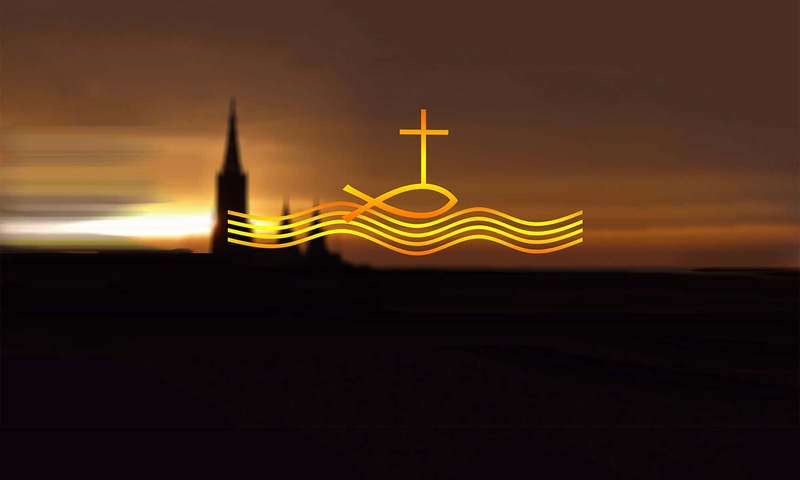 Our prayers for those among us who are “Spiritually blind” must never cease. Our unfair world often places women second. 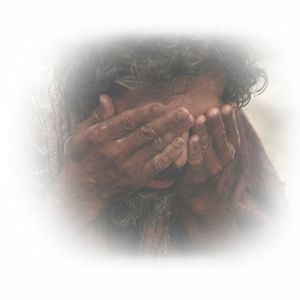 CategoriesJesus' Life Stories - Duplicates TagsGospel, Jesus' Life Story, John 9:1-41, reflection, Why did the Jewish leaders not believe Jesus healed the blind man?